Why Indian Startup Ecosystem Needs More Catalysts Like Upekkha Than Typical Incubators And Accelerators? “Everyone has an idea. But it’s really about executing the idea and attracting other people to help you work on the idea.” – Jack Dorsey, a renowned American tech-entrepreneur. First comes an idea, then implementing it and finally building a startup is something fascinating to hear. But, it takes an enormous effort to turn ideas into actions and rocks into milestones. Similarly, for a startup in its early stages, it requires someone to guide them in the right direction. This is where accelerators and incubators have an important role to play — they offer the right guidance to not only help startups realise their potential but also help it connect with the potential investors and clients. And startups know this. Nowadays entrepreneurs look beyond mentorship or networking opportunities that a typical accelerator or an incubator offers. Over the years, the Indian startup ecosystem has witnessed the creation of incubators, accelerators and even venture studios who are unique in their approach while working with the startups. A few weeks back we wrote about Prototyze, a venture studio, which helps startups to stay worry-free from administrative and money raising activities, and further guiding them to build a market-fit product and introduce them to the market. 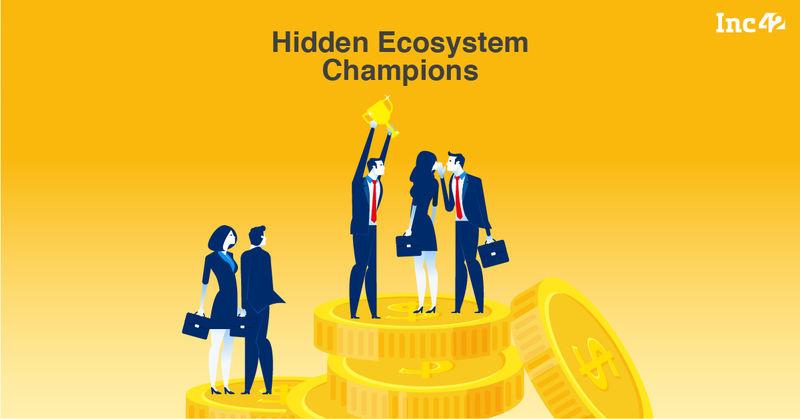 As part of Inc42’s ongoing series with Amazon Web Services (AWS) – Hidden Ecosystem Champions where we showcase some of the champions who are creating a major impact in the early-stage startup ecosystem of India, this time, we connected with one such enabler — Upekkha. Based in Bengaluru, founded by Prasanna Krishnamoorthy, Shekar Nair, Thiyagarajan Maruthavanan Rajan, Uppekha is working with Indian SaaS-based startups and calls itself to be a ‘catalyst’ rather than an accelerator. It does not get any equity in a startup unless the startup achieves a pre-decided revenue milestone by the end of its acceleration program. A typical incubator supports a startup for a period of 1 to 5 years, whereas an accelerator mentors the startup for only 3 to 6 months and the hybrid program offers helps startups for about 3 months to 2 years. While most of the accelerators and incubators provide mentorship and funding to startups in exchange for some equity, while others charge a separate program fee. What makes Upekkha different from other incubators and accelerators in the country is the agreement that they have with the startup where the startup share equities and revenue share only upon hitting a preset milestone (such as $1 Mn in annual recurring revenue by the end of the program). Upekkha has set up a two-year program – UpekkhaOne – that helps startups achieve product-market fit efficiently, thereafter, design the growth to scale organically or find a strategic partner for inorganic growth. The focus of the program is progress in a real business metric such as revenue, gross margin, ownership and building moats. This ensures that the founder is equipped to make the right choices for scale capital-led growth. The first cohort of startups under the Upekkha programme have reached their first million under 18 months, which demonstrates that intervention through frameworks, follow-up rigour, community and peer learning from other SaaS founders is working. In sectors like SaaS, drawing the first cheque and making revenue out of the business model is not that difficult, but drawing the second cheque and emerging as a sustainable business is where most startups falter. To give a better idea of the economics of the SaaS business consider this — to scale up the monthly recurring revenue of $8K to $80K means that the startup needs to increase revenue by about a million dollars. “The mortality rate of startups is the highest in the $100K to $1 Mn annual revenue phase. That is where I wanted to help,” Krishnamoorthy said. Observing the industry scenario for more than ten years while working with various startups and lastly as CTO at Microsoft Ventures Accelerator, Krishnamoorthy understood the pain of entrepreneurs and the loopholes. He realised that startups especially B2B-SaaS is like running a marathon and the three months sprint of acceleration simply isn’t enough. That is when Krishnamoorthy quit Microsoft to launch Upekkha in January 2017. Soon, he roped in his colleagues Nair and Rajan. “The Entire B2B products industry in India put together is no greater than a single Silicon Valley B2B company — Splunk.” Nair said. Splunk is an American multinational software company with annual revenue of $1.6 Bn and has acquired eight companies. To this point, experts say that startups in India have a unique advantage in doing business when they adopt the SaaS business model. This is a key reason why Upekkha only works with B2B SaaS startups and removes the urgency for a miracle to make the startups successful. “After all every startup needs at least three to four miracles to happen for them to succeed,” Nair said. Jimit Bagadiya, cofounder and CEO SocialPilot, one of Uppekha’s accelerated startups says, “Upekkha focuses only on SaaS startups which ensures that all sessions are 100% relevant and relatable. The tactical sessions gave us many actionable ideas that we are already implementing.” According to Bagadiya, being part of Upekka help them raise their revenue by $3K — “literally overnight”. Considering that SaaS software giants such as Microsoft, Oracle and SAP have been around for decades, startups in this segment need a longer cycle of nurturing and development to create world-class products. As an accelerator mentors a startup for only 3 to 6 months, a hybrid program allows SaaS startups to hone their product as well as meet like-minded people. On the flipside a major benefit for subscription-based software companies is that their products yield a constant revenue, removing the headache of worrying about a working monetization plan. With catalysts such as Upekkha helping in the early stages of operation, it becomes much easier for SaaS startups to reach the milestone revenue target and achieve the next level of growth. The constant revenue model makes the opportunities in this sector huge. Though, currently, India just has three unicorns in this segment i.e. InMobi, Zoho, and Freshworks, but, if we look at the recent trends and investor sentiments, it’s expected that enterprise tech as a segment is ready for next level of growth. According to Inc42 DataLabs estimates, of the 31 soonicorns which have the potential to turn unicorns by 2020, 10% of them are enterprise tech — showcasing the increased investor interest in the segment. With catalysts such as Upekkha hitting the right chords by helping the startups build value SaaS businesses, the scope for the sector to grow further looks much more promising.